On Episode 9 of Live from Luo's, Brett McNeil and Bob Uphues interview Jason Smith, co-owner of The Book Table, the "fiercely independent" bookstore that's called downtown Oak Park home since 2003. On Episode 8 of Live from Luo's, Brett McNeil and Bob Uphues interview Doc Mack, the whiz behind the ever-expanding Galloping Ghost brand in Brookfield. 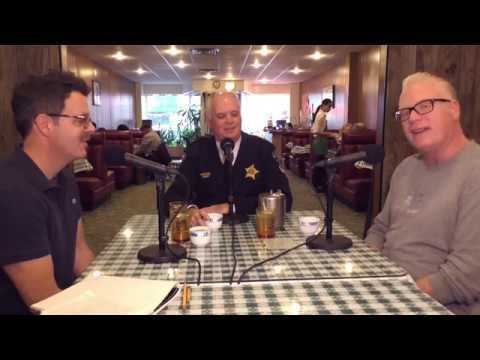 On Episode 7 of Live from Luo's, Brett McNeil and Bob Uphues interview Riverside, Illinois, Police Chief Tom Weitzel, touching on a wide range of topics, from police-involved shootings in suburban Cook County to police training, his own experience of having been shot in the line of duty, Cook County's bail reform effort and its effects and his department's use of social media to connect with the public. On Episode 6 of Live from Luo's, Brett McNeil and Bob Uphues talk to Oak Park resident Sheila Nix, who worked inside the Obama White House from 2013-16 as chief of staff for Dr. Jill Biden, the wife of Vice President Joe Biden, and as a deputy assistant to President Barack Obama.